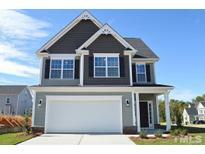 Find Clayton, NC New Homes for sale. View Photos, Maps and MLS Data Now! Enjoy the breeze on your Covered Front Porch or relaxing on the Back Deck. MLS#2249873. 5180. Willowbrook - OPEN SPLIT BEDROOM FLOOR PLAN *ADDITIONAL PARKING ON REAR OF LOT *GRANITE TOPS AND BAR IN KITCHEN *HARDWOOD FLOORING *HIS AND HER SINKS PLUS TUB/SEPARATE SHOWER IN MASTER SUITE *COVERED SCREEN PORCH *HOA Dues cover the Exterior, Roof, Yard, Insurance on Home, and much more ! MLS#2249715. 1197. Flowers Plantation - Under contract MLS#2249116. 782. Bristol - Our homes are energy efficient, and also come standard with SMART Home Technology. MLS#2249140. 1197. Bristol - This home has a one car garage. SMART HOME TECHNOLOGY is included! MLS#2249150. 1197. 1 of 3 homes remaining in Community. MLS#2248945. 5180. Third floor has 4th Bedroom, Full Bath & Kid's Loft. MLS#2248871. 1197. Flowers Plantation - Don't forget to ask about our Main Street Stars Discount! MLS#2248911. 782. 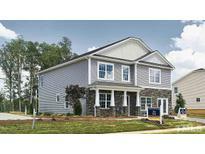 Knolls At The Neuse - $2000 towards cc w/preferred lenders. Make it yours! MLS#2249004. 5043. Detached Garage boasts unfinished upstairs; Man-cave, walk-in storage, endless possibilities. MLS#2248683. 1197. Beautiful wrap porch and covered patio to relax and have your morning coffee. Great Schools and Great Location. 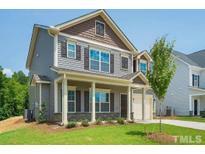 MLS#2248843. 1197. Finished security system and covered porch. MLS#2248807. 953.